Plebs is a British 30 minute scripted comedy television series, which kicked off on March 25, 2013, on ITV2 and is broadcast every Monday at 22:00. The show is currently in its 4th season. 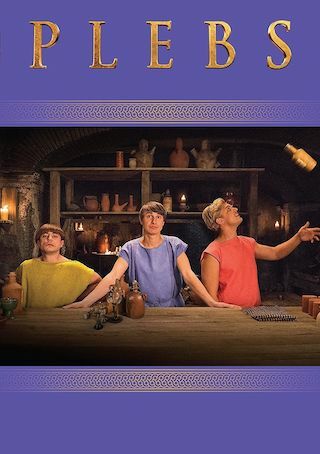 ITV2 has officially confirmed the renewal of Plebs for Season 5. The exact release date is yet to be announced so far. Sign up to track it down. Rome is traditionally imagined as the home of emperors and senators, generals and gladiators, a dignified theatre of pomp and ceremony. But what about the little guys, the wasters - new to the big city, stuck in office jobs, unable to get the girls? Plebs follows three desperate young men from the suburbs as they try to get laid, hold down jobs and climb the social ladder in the big city - a city that happens to be Ancient Rome.